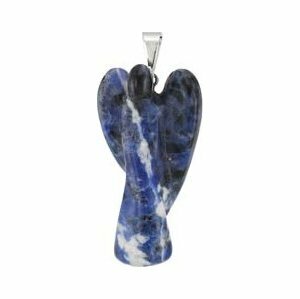 Sculpted from a piece of blue and white veined sodalite. No cord. 1 1/4" x 3/4"